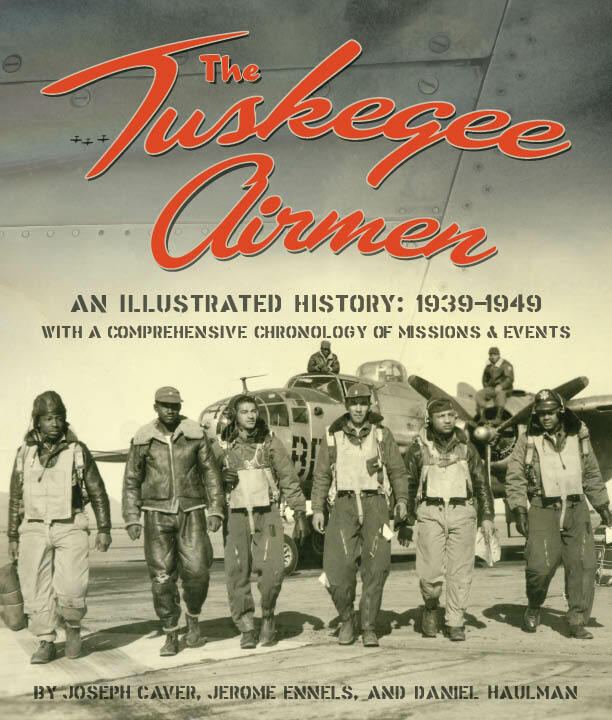 In a segment recently featured on The Weather Channel, reporter Paul Goodloe interviewed author and Tuskegee Airmen historian Daniel Haulman about the less-well-known Tuskegee Weather Detachment. Haulman is one of the co-authors of The Tuskegee Airmen, An Illustrated History: 1939-1949, as well as other books on the Airmen. The men who made up the detachment, Goodloe said, had been trained in meteorology and selected for their leadership qualities. Among them was Charles Edward Anderson, who went on to become the first African American to receive a PhD, in meteorology. Watch the full report on the Tuskegee Weather Detachment at the Weather Channel website. Daniel Haulman is co-author of The Tuskegee Airmen, An Illustrated History: 1939-1949, available from NewSouth Books, Amazon, or your favorite bookstore. Other books on the Tuskegee Airmen by Daniel Haulman include Eleven Myths About the Tuskegee Airmen, The Tuskegee Airmen and the “Never Lost a Bomber” Myth, and What Hollywood Got Right and Wrong about the Tuskegee Airmen in the Great New Movie, Red Tails. You are currently browsing the archives for the TuskegeeAirmen category.